Eureka! My costumes in the news! I’ve been terribly neglectful of my two-year-old project, but I figure it’s only worth posting when I’ve got something worthy of posting, if you know what I mean. 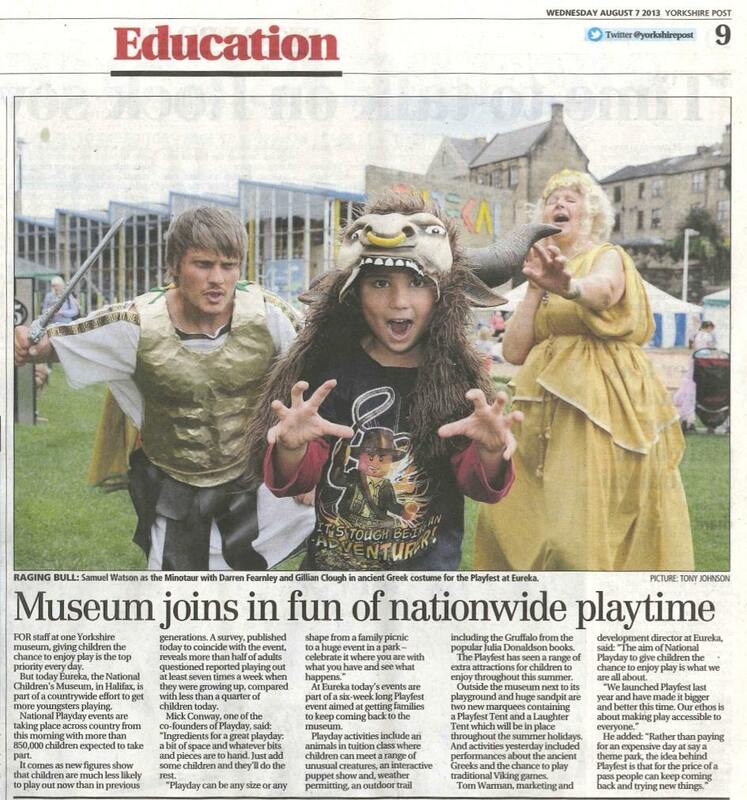 And since I haven’t been sewing lately (bad Rebecca), here’s the next best thing: two of my Ancient Greeks costumes in the Yorkshire Post! Yassou! Kalimera! (That’s out of our Ancient Greek script, and they mean “hello!” and “good morning!” in Greek.) 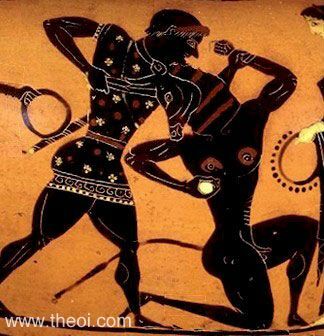 Welcome to Part 2 of the Greeks, in which we explore ancient menswear. Good news guys! I recently got the opportunity to design and make the costumes for Eureka!’s latest school workshop, The Ancient Greeks. Woohoo! In the past Eureka! has sourced all of its costumes for special events and workshops from a fancy dress company called Smiffys, so I was chuffed to be asked to take on the project. 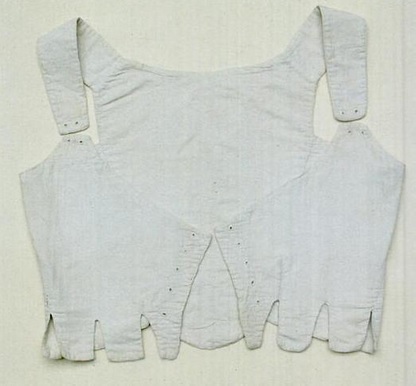 I found this handy website, essentially a manual on ancient Greek costume construction and draping. It all looked so simple, and I thought it’d be a breeze. 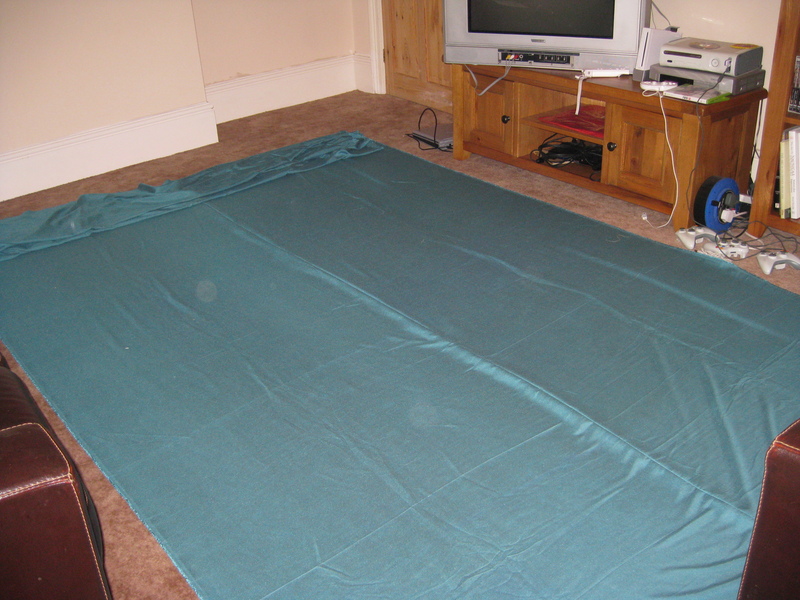 That is, until I realized just exactly how much fabric you need to make a 2m x4m rectangle for an Ionic peplos (or Hellenic chiton, as I prefer to call it).